The largest retail bookseller in the United States is now in the business of selling Samsung tablets. 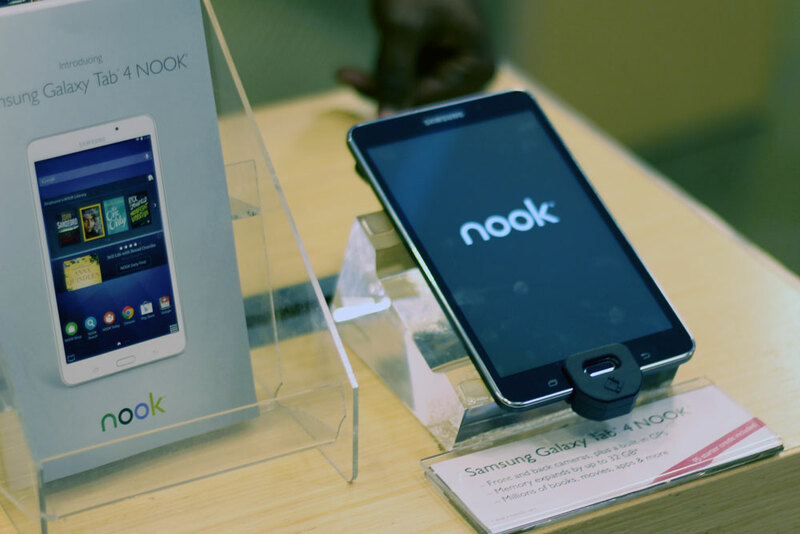 As was announced earlier this summer, Barnes & Noble will discontinue its own line of skinned Android tablets and instead will partner with Samsung to sell a Nook-branded version of the Galaxy Tab 4, which will be called, rather uncreatively, the Galaxy Tab 4 Nook. This version of the seven-inch tablet will have several Nook book and music marketplaces preinstalled and it will be sold for $180 at Barnes & Noble as well as online. Barnes & Noble locations will also offer customer support for customers struggling with the jump from paper books to a fully-fledged Android tablet.